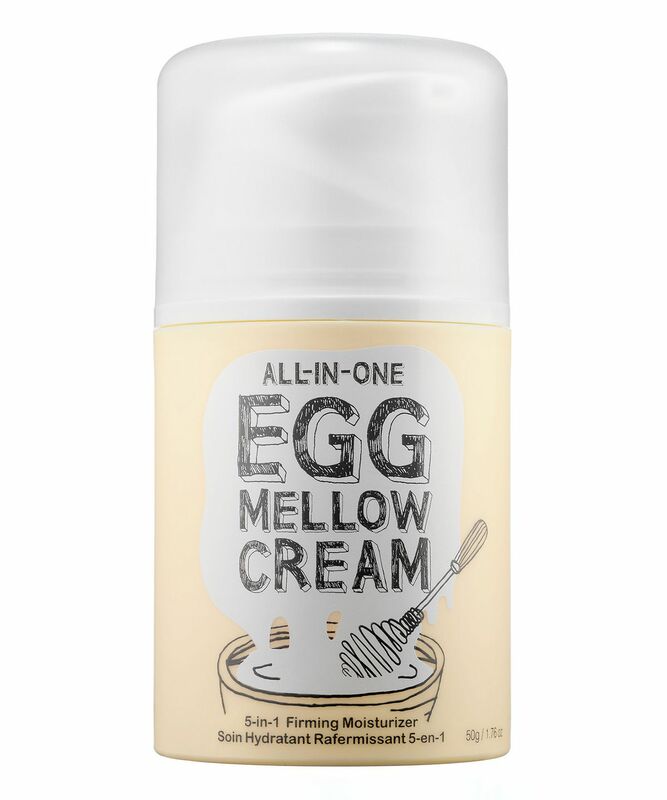 Enriched with egg extracts and collagen fibres, this firming, five-in-one moisturiser boosts elasticity for bright, youthful skin. Ideal for normal, combination, dry and sensitive skin, it works as a serum, priming moisturiser, eye cream, neck cream and sleeping mask, targeting dullness and loss of firmness wherever it’s used. Too Cool for School, the Korean brand that’s clever as well as cool, brings you the latest skin care trends wrapped up in playful packaging. A firming, multi-tasking moisturiser, Too Cool For School’s Egg Mellow Cream gives skin a brilliant boost of elasticity for a brighter, more youthful complexion. Enriched with egg yolk extract and albumen (egg white extract) to intensively nourish, niacinamide to brighten and collagen fibres to boost firmness, it specifically addresses dryness, loss of elasticity and dull, uneven texture. Wonderfully versatile, it can be used as a serum, priming moisturiser, eye cream, neck cream and sleeping mask. However it’s used, it will leave your skin looking plump, radiant and youthful every time. My go to morning moisturiser mixed with The Ordinary Buffet! The smell is heavenly, and I’m not usually big on scents in my skincare. Works great with or without makeup. I’ve even got my mum hooked after one use!